I like Murakami and bought this for my non-reading, running husband, probably one of Murakami’s slimmest works, but he did manage to finish it and so will I one day, or will it be 1Q84 first, also waiting on the shelf for me to read? 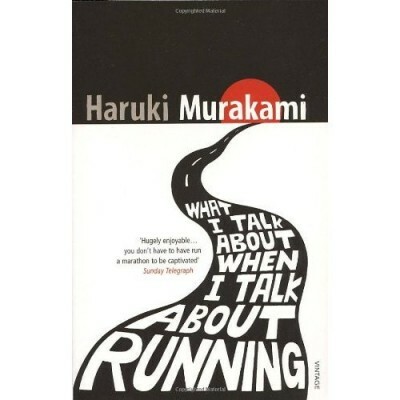 It certainly inspired his running, did it inspire you in your writing? Hi Claire – thanks so much for dropping by and for your thoughtful comment. I’m like you; I aspire to the rhythm/pace that Murakami talks about but haven’t quite got there, yet! I definitely work better if I write everyday – it builds momentum and helps keep the story ‘alive’ – but I frequently get derailed from that goal. Hey ho. I’ll keep trying!